A venture capitalist says the law has created an enormous to build health care companies. Some entrepreneurs told Pricewaterhouse Coopers that PPACA led to innovation. (Bloomberg) — More than 90 new health-care companies employing as many as 6,200 people have been created in the U.S. since the Patient Protection and Affordable Care Act (PPACA) became law, a level of entrepreneurial activity that participants say may be unprecedented for the industry. Zenefits, which provides human-resources software and acts as a health-insurance broker for small employers, wouldn’t exist without the law, said Parker Conrad, the firm’s chief executive officer. Since PPACA’s inception in April 2013, the San Francisco-based company has grown to more than 900 employees. That makes it the largest firm among dozens that have sprouted in the law’s wake, according to PricewaterhouseCoopers, which issued a report on the trend this week. Conrad, a cancer survivor, said that after reading PPACA cover-to-cover and talking to insurance experts, he realized it offered an opportunity to ease the process of pricing, selling and managing health insurance for small businesses. Zenefits, which has 10,000 clients, can “spit out pricing” for every health insurance plan in a state “in milliseconds,” using only the ages and addresses of employees, he said. Opponents of PPACA have continually warned of the law’s potential effect on U.S. jobs, with Republican John Boehner of Ohio, the House Speaker, frequently calling it “the president’s job-killing health-care law.” The American Action Forum, a nonprofit advocacy group that opposes the law, has blamed it for reducing pay at businesses with 20 to 99 employees by about $22.6 billion annually. Still, the act became law just as the nation’s employment figures began to improve. On March 6, the Bureau of Labor Statistics reported that the U.S. added 295,000 jobs in February and the unemployment rate fell to 5.5 percent, the lowest level in about seven years. The economy has added at least 200,000 jobs for 12 straight months, the best run since a 19-month stretch that ended in March 1995. “The claim that the Affordable Care Act is a job-killer is just factually untrue,” said Bob Kocher, a doctor and former Obama adviser who is now a partner at New York-based venture capital firm Venrock Associates. The law has “created the most enormous opportunity to build health-care companies ever,” Kocher said. His firm has invested in eight such startups, including a Bethesda, Maryland-based company started last year by another former Obama administration official, Farzad Mostashari. His company, Aledade assists doctors looking to take advantage of a program in the health-care law that offers higher payments under Medicare, the insurance plan for the elderly and disabled, if they can reduce the cost of caring for those patients without harming their health. Mostashari didn’t return a phone message left at his office. Sylvia Mathews Burwell, the secretary of the U.S. Department of Health and Human Services (HHS) made an appearance today at Rock Health, a venture capital fund in San Francisco that backs health-care companies, to promote the health law’s benefits for entrepreneurs. Since 2012, HHS has hosted an annual event it calls “Health Datapalooza” to encourage entrepreneurs to use its resources. PPACA has “provided funding for us to make more investments in data and make that data available to the private sector to help find solutions to some of our biggest challenges through innovation,” Burwell said in San Francisco, according to a transcript distributed by her department. In the five years prior to the law “you don’t get anywhere close” to as many startups in the health-care industry, said Ceci Connolly, managing director of PricewaterhouseCoopers’s Health Research Institute, which published the report. Omada Health, a San Francisco-based company that helps employers and insurers prevent diabetes and cardiovascular disease in high-risk individuals “is a direct result of the ACA,” said CEO Sean Duffy, referring to the health law. The company’s online service uses prevention techniques that were developed by the Centers for Disease Control and Prevention under a little-known program funded by PPACA, Duffy said. 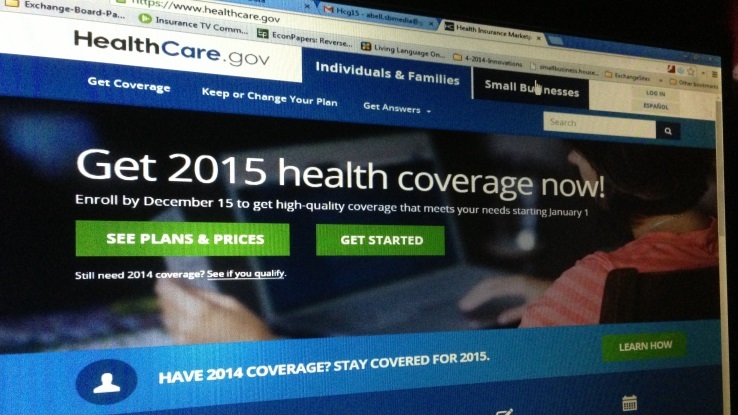 Some companies give only partial credit to PPACA. They also were formed because of a related law passed a year earlier that provided federal money for hospitals and doctors’ offices to buy electronic record systems, as well as advancements in mobile and wireless computing technology. Jiff, a Palo Alto, California-based company that’s also funded by Venrock, helps large employers organize their health benefits and recommend specific services to workers that may improve their health and reduce the firms’ costs. The business “was conceptualized before the Affordable Care Act and wasn’t completely dependent on it,” Jiff’s CEO, Derek Newell, said in a phone interview. However, the law’s arrival encouraged employers to use Jiff by allowing them to reward workers for healthy behaviors, such as participating in tobacco-cessation programs or disease-management plans for costly conditions like diabetes. “To my mind, it has been an amazing catalyst for job creation and innovation in my segment of the economy,” Newell said.